LIES, LIES, AND THEN SOME MORE! The Organizing Collective of the US Campaign for the Academic and Cultural Boycott of Israel celebrates the increasing number of international artists who are cancelling performances in Israel. Accompanying this success are allegations that artists receive threats that lead them to cancel their performances. To counter these charges, USACBI wants to be clear about the work we do, and how we do it. Rock and Roll Hall of Famer Eric Burdon, former lead vocalist of the 1960s British band The Animals, has canceled a scheduled performance in Israel amid claims of “threats” to his life. 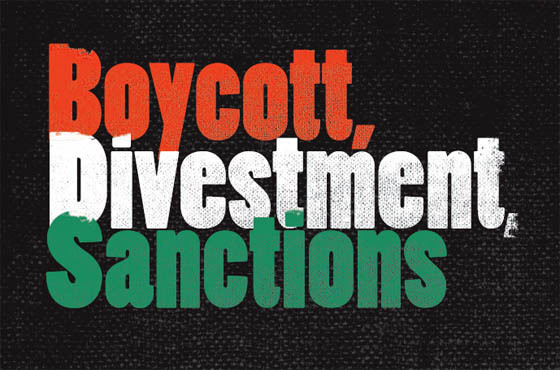 But no evidence has emerged to substantiate the claims of threats, or accusations by a Jewish Agency propagandist that activists in the boycott, divestment and sanctions (BDS) movement made them. “We are under increasing pressure, including many threatening emails that we are receiving on a daily basis. I wouldn’t want to put Eric in any danger,” his manager, Marianna Burdon, wrote in a letter to Israeli members of Tislam, the band Burdon was scheduled to perform with, Haaretz reported on 23 July. Burdon’s song “Monterey” (see video above) is an ode to the legendary 1967 music festival in Monterey, California, which is remembered for some of the earliest major American appearances by iconic artists of the era, including Hugh Masekela, Jimi Hendrix, Janis Joplin, The Who and Ravi Shankar. While other Israeli media, such as The Times of Israel website, have also reported that Burdon “caved to threats,” no details of the alleged threats have come to light. According to the blog Kadaitcha, Burdon’s cancelation came after an advocacy campaign by activists, including the Scottish Palestine Solidarity Campaign and Don’t Play Apartheid Israel. As Kadaitcha noted, Israeli propagandists have been quick to seize on the story. In a series of tweets Avi Mayer, a propaganda operative for the Jewish Agency, directly accused BDS activists of making the threats. The Jewish Agency is an Israeli-government sponsored organization that implements discriminatory policies to promote Zionist colonization of Palestinian land. One of Mayer’s tweets stated: “#BDS thugs threaten 72-year-old. // @EricBurdon of The Animals cancels concert in Israel, citing threats” and links to the Haaretz story which does not support his claim. But Mayer offered absolutely no evidence to back up his claims that anyone associated with the BDS movement or any known Palestine solidarity organization had anything to do with the alleged threats. Israel has an interest in representing the BDS movement as working by threats, as more and more artists take principled stances and voluntarily heed Palestinians’ call to refuse to perform in Israel. Just last week, for example, acclaimed Indian-American director Mira Nair joined a growing list of cultural figures that includes Roger Waters and Alice Walker, endorsing the cultural boycott of Israel. Nair explained that she would not travel to the country until “apartheid” had ended. “Although we and our allies urge artists not to cross the international picket line by performing in Israel, and although we make sustained efforts to educate performers about the reason for boycott, we have not and never will issue any threats against anyone who does not heed the boycott call,” the statement adds. Israel is the world’s greatest exporter of terrorism. Period. MOST NATIONS know this, but Americans do not (typical, uniformed Americans), having bought and paid for it’s politicians to NEVER speak the truth of Zion – and probably afraid for their lives. I believe it was Daniel Kucinich that began to raise questions of Israel’s work in 9/11 – and promptly received death threats – real ones – to his family. They are a very frightening entity, and the Zionist leader want Total War in the Mideast, so expect a False Flag event to trigger WW3, with either Syria or Iran “to blame”. And America will go right along with it, millions will die, while Zion’s bankers laugh and profit. Don’t believe me? See how fast Iraq, Libya, and ‘Southern’ Sudan got ‘Central Banks’; AKA ‘Federal Reserve’, to bleed the population dry. Seems the ‘border’ was somewhat hastily drawn, and oil was discovered juuuusst over the border in ‘old Sudan’, so Sudan is AGAIN a mess, and the banksters are trying to get the border moved north while fighting goes on…. So they can steal the oil. I do not want to appear racist. I have MANY Jewish friends, but they know, as do I, THAT BOTH OF OUR GOVERNMENTS ARE COMPLETELY OUT OF CONTROL.